As a Millennial myself, I know that there is one aspect of life that we are always thinking about, and that is the present; the now, the YOLO, and the ‘if I have cash lets blow it now’ mentality because why not? I’ll just figure it out later. Well this may be all fun and games, but there is something you can do. Something that will allow you to feel justified about spending money freely like this, and that is setting yourself up little-by-little for the future. As a kid, whenever I received any amount of money, whether it was an allowance or a paycheck, my dad made sure that I always put a portion away in savings for the future. At the time, this seemed like a cruel punishment, but he wanted to ensure that I would have money set aside for college when the time came. Upon receival, I was always inclined to blow this money on candy, electronics or the latest trends, but I am really glad that I did choose to save. When I was finally ready to go to college, I had a large lump sum saved in a separate bank account that was allocated to help me avoid copious student loans. This same concept can be applied to your 401k. If you are able to put small amounts of money away, you can retire comfortably, with 40ish years to really live your retirement out to the fullest. 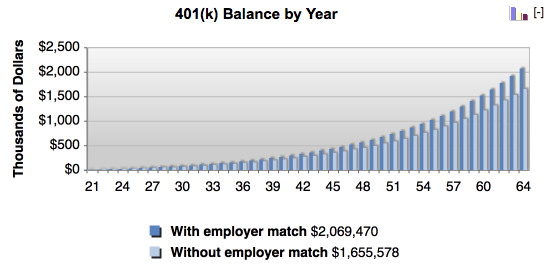 Many companies in corporate America offer 401k plans that can even MATCH your contribution by up to 4-6%. In the long run, this is HUGE! This means that whatever money you put into your account, up to 4-6% of your salary, your employer could match about half or all of that amount. This means that you could have the potential to double the amount you ultimately save in the early stages and create a snowball effect of interest and returns. So let’s do some more math here. Say you are currently making $40,000 per year, and your salary is expected to grow 3% every year (inflation, promotions, job changes),then if you are putting 10% away every year ($4,000: Year 1), after 40 years you will have amassed an amount close to $2,100,000. Much of this money will be relegated pre-tax, meaning you will have more money available to put away that doesn’t have to go to taxes. 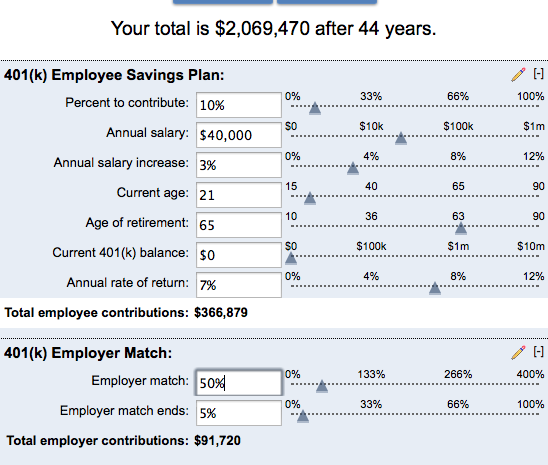 The best part of this deal is that with this example, almost $410,000 of this amount will be FREE MONEY, money you get from a good Rate of Return (RoR) and/or employer contributions. So everyone, please take my advice and ask your company or current employer about the 401k plans they offer. Please take advantage of these! Your future family and self will thank you. I promise. Thanks to BankRate.com the screenshots can be found below. Approximately one month ago, I had a big decision to make. Do I pay a professional or do my own taxes. After about 3 seconds I knew the answer was clear. It’s like I had forgotten that I just graduated from business school with a major in finance. When people hear the word taxes many tend to cringe because of thoughts of endless paperwork and boring meticulous detail. Thankfully this isn’t 10 years ago and technology has advanced tremendously. We have TurboTax at our fingertips, and for all of you who don’t know, even a child can use this product. It makes doing your taxes as easy as those computer games they make for 5-year olds with the colorful pages and big text. Here are a couple of reasons to do your own taxes. 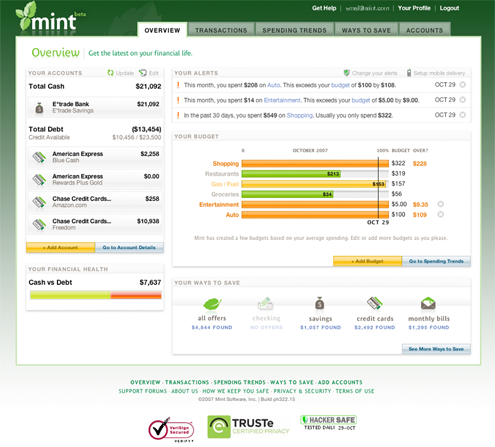 The software is easy to use, TurboTax does a great job making their product as unintimidating as possible. You are more aware of your own money, how much you are making and how much you are saving. Understand more about politics and where your money is going, if you don’t like how much you’re paying; make sure you vote in the next election. Saving money. 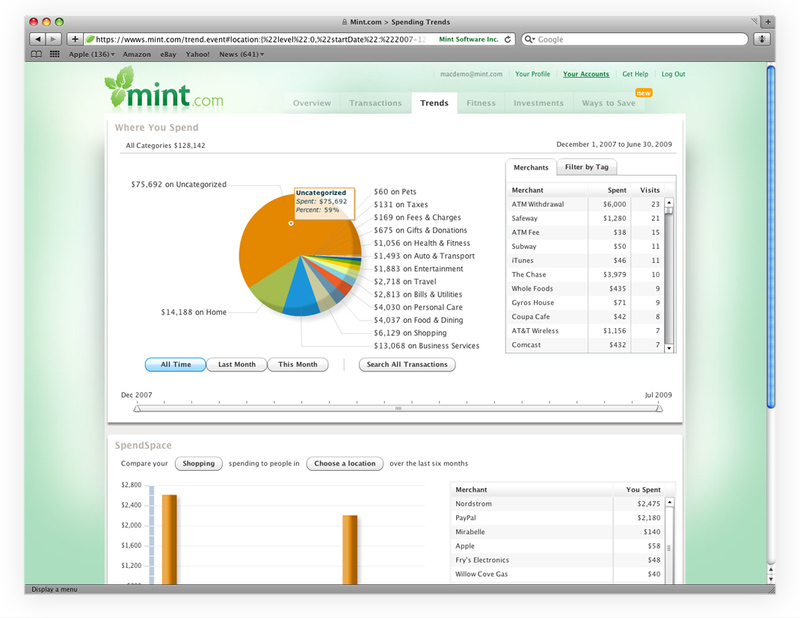 Why pay your local accountant $150-350 when you can use turbo tax for free; if you qualify for the free version. If you make more than $55k, the other version will run you about $90. 1-step closer to becoming financially independent and more of an adult. The more you know about taxes the more you can benefit from deduction such as student loan Interest, job hunting costs, and moving expenses. As a young millennial, most of us will be filing single with no dependents. This means that for most of us our taxes will be simple and less complicated than our parents. We can see our deductions and get every penny that is ours in our tax return. The average tax return is just shy of $3,000, which is a pretty big incentive to just get them done. It may be tempting to just spend this money on frivolous toys such as a new laptop, expensive sunglasses, shoes or bottle service, but I would recommend investing in your student loans, credit card debt or investing for the future. With interest rates and loans as high as they are it’s almost as if you’d be paying yourself more.